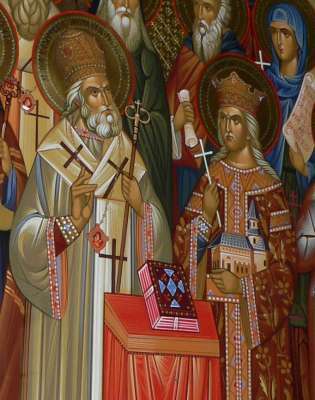 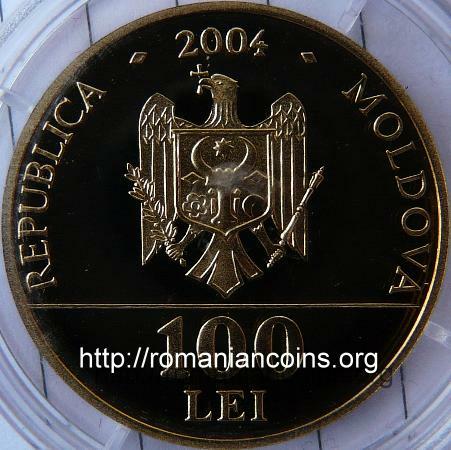 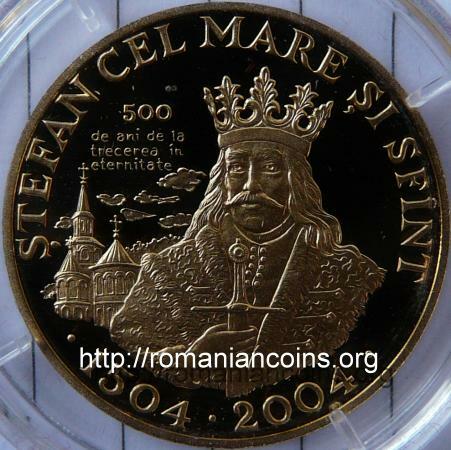 year 2004, circular inscription REPUBLICA MOLDOVA meaning "REPUBLIC OF MOLDOVA" and the coat of arms of the Republic of Moldavia, in exergue denomination "100 LEI" Stephen the Great and the Holy, with sword in the right hand, in background a monastery, in the field inscription "500 de ani de la trecerea în eternitate" meaning "500 years from the passing on to eternity", circular inscription "ŞTEFAN CEL MARE ŞI SFÎNT · 1504 · 2004 ·" meaning "STEPHEN THE GREAT AND THE HOLY"
This is the first gold coin issued by Republic of Moldova. 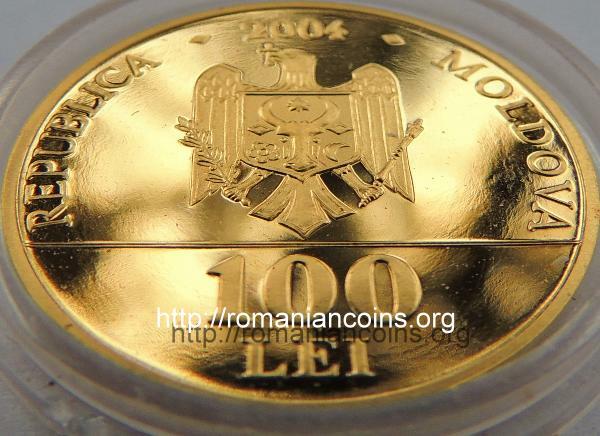 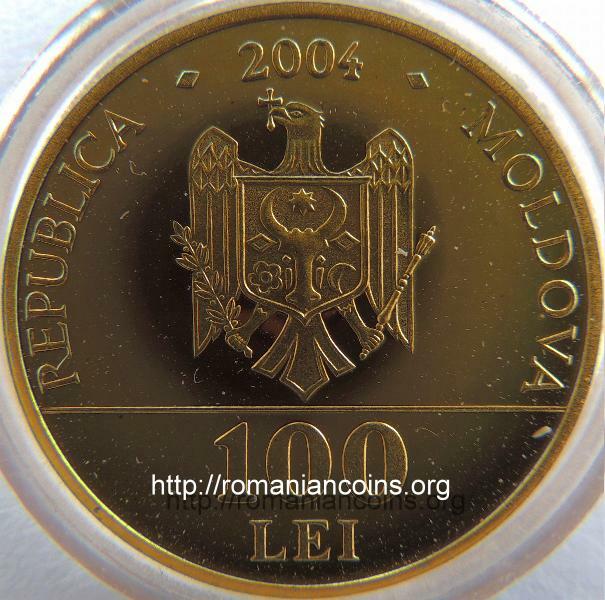 The great Moldavian voivod is also present on several Romanian coins: 500 lei 1941 - Liberation of the enthralled Moldavia, 20 lei 1991, 5000 lei 2004 - Stephen the Great's Death Quincentenary, 1 leu, 5 and 100 lei 2007 - 550 years since the enthronement of Stephen the Great in Moldavia and 10 lei 2008 - Voroneţ Monastery. 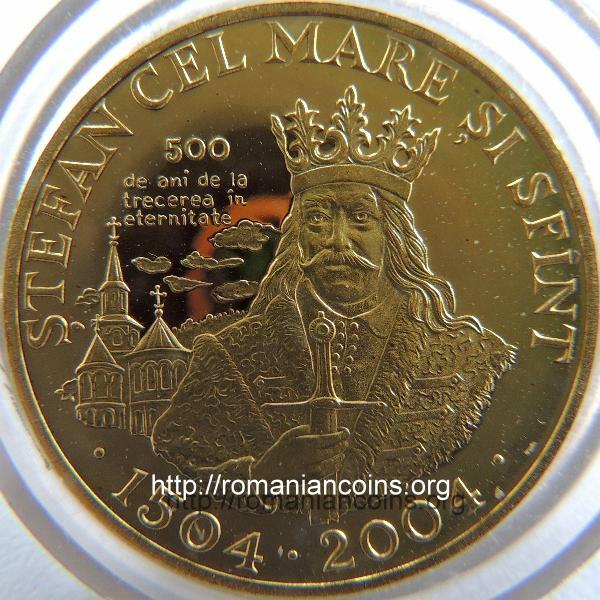 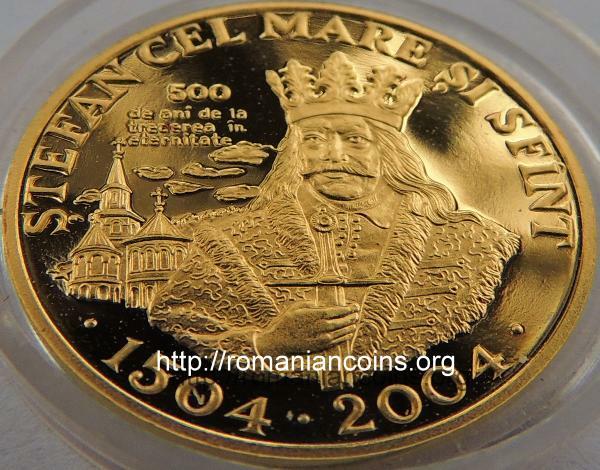 Stephen the Great also appears on another coin issued by the Republic of Moldavia: 100 lei 2000 - 525 years from the battle of Vaslui.